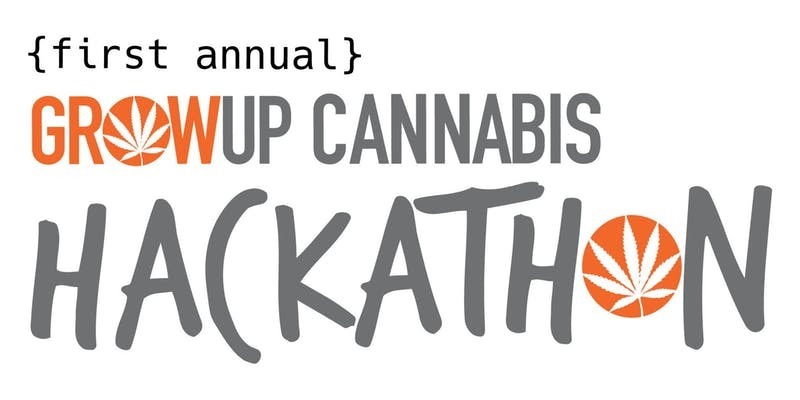 This contest will be presented as part of the GROW UP Cannabis Conference 2018. The Contest is designed to provide the opportunity for creators to develop new tech innovations for the cannabis industry. The winners are determined solely on skill; this is not a chance-based contest. By participating, you agree to these Official Rules. You must be 19 years or older to enter this contest with the exception of a minor with the expressed written consent from a parent or legal guardian. This Contest is void where prohibited by law. No purchase is necessary. and submit a Contest application. Participants will be selected based on the completeness of their application and the potential to impact the entertainment industry. Selected participants will be notified of their selection before Sept. 5, 2018. In order to be eligible, all applications must be submitted by Sept. 5, 2018 and you must be selected as a participant. Once participants are selected, each participant will be required to submit a project in compliance with the rules set forth herein. At least one member of your team must be on-site at the Grow Up Hackathon for the duration of the Contest. materials made available by us for the Contest. • Your Project cannot have been selected as a winner in another contest. offensive, illegal, inappropriate or prohibited material. • By entering, you represent and warrant that: (i) your Project includes only material that you own or that you have permission from the copyright/trademark owner to use (including source code, user interface, music, video or images); and (ii) your Project does not contain any third party copyrighted materials, and otherwise do not violate or infringe the rights, including, without limitation, copyrights, trademark rights or rights of publicity/privacy, of any third party. Other prizes provided by the sponsors may be announced prior to the Contest, subject to availability and Grow Up approval. After the awards ceremony, the Prizewinner(s) must agree to execute any further contracts or releases provided by Grow Up or the Contest sponsors in order to receive the Prize (collectively, “Processing”). This Processing may include tax withholdings. A Participant is not the Prizewinner until Grow Up has verified Participant’s eligibility. If you are an international winner, please note your check may be subject to different taxes due to your country's Tax Treaty(s) with Canada. Project for its own promotional or publicity purposes. OR PARTICIPATION IN THIS CONTEST. WHAT LAWS GOVERN THE WAY THIS CONTEST IS EXECUTED AND ADMINISTERED? This Contest will be governed by the laws of province of Ontario and the Dominion of Canada. WHAT IF SOMETHING UNEXPECTED HAPPENS AND THE CONTEST CAN'T RUN AS IT WAS PLANNED? If someone cheats, or a virus, bug, bot, catastrophic event, or any other unforeseen or unexpected event that cannot be reasonably anticipated or controlled (also referred to as “force majeure”) affects the fairness and/or integrity of this Contest, we reserve the right to cancel, change, or suspend this Contest at any time. This right is reserved whether the event is due to human or technical error. If a solution cannot be found to restore the integrity of the Contest, we reserve the right to select winners from among all eligible entries received before it became necessary to cancel, change or suspend the Contest. If you or your team attempts to compromise the integrity or the legitimate operation of this Contest, or if we have reason to believe that you or your team have compromised the integrity or the legitimate operation of this Contest by cheating, hacking, creating a bot or other automated program, or by committing fraud in any way, we may disqualify you/your team, and ban you from participating in any of our future Contests. A full list of all winners will be published on www.growupconference.com after the conclusion of Grow Up Conference 2018.